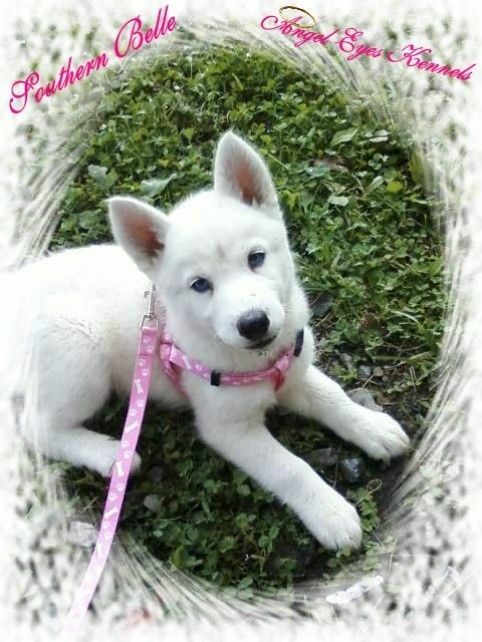 This Is Southern Belle A Sold White Female Siberian Husky Puppy With Ice Blue Eyes She Is A Very Rare Color. 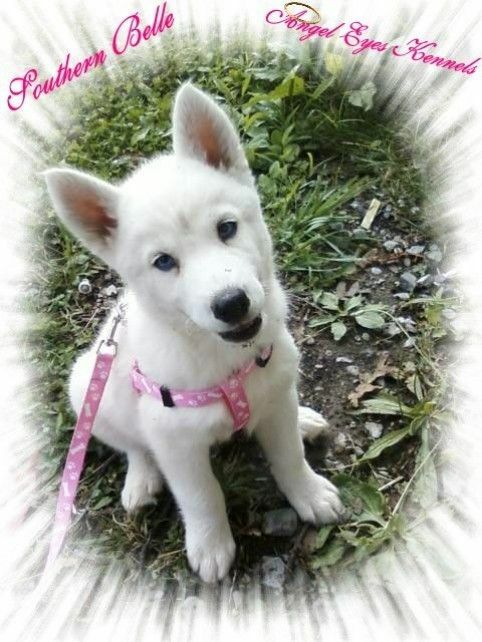 I Raised Her From 2 Of My Siberian Huskies She Is Very Sweet And Lovable. She Loves To Play With Her Twin Sister Ice, Who Looks Just Like Her And Her Mother And Grandmother And My New Male And She Loves To Play With My 3 Year Old Son. she is so adorable. thank u and u both take care. I love those types of dogs/puppies.